Battlefield 4 is a tablet game on the quiet. Provided you’re happy to subsist on the returning Commander Mode, you could play all of your Battlefield from bed beginning October 29. 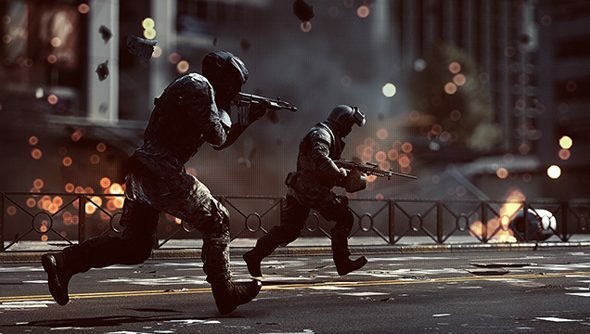 For EA, that’s just the start – they’re planning to translate the highly destructible, multiplayer “war fantasy” at the heart of the series to mobile phones in some form. You’ll remember Frank Gibeau as EA’s man in charge of all things console and PC – these days, he’s king of their mobile division. He told the New York Times that the publisher is working on a mobile Battlefield game designed to be “high-end” and “high-performance”. “It’s our bet that we can successfully pull that off,” he said. “But we’re embarking on something no one has ever done before – to get these games to inter-operate between platforms. Development may be difficult, but Gibeau is convinced there’s demand for a proper Battlefield on high-definition ear-pieces. The App Store is one objective the multiplayer FPS has yet to capture – and you can bet that along the way, fans will wonder aloud whether anybody really wants a Battlefield game on a four-inch screen. But then, Gibeau is used to the complaints of Battlefield fans.